Daniel Mays was a guest on this morning’s Sunday Brunch on Channel 4. Danny discussed Two for Joy (released on Friday, 28 September), Channel 4’s The Inerrogation (premiers this Autumn), and Fisherman’s Friends (released Friday, 23 November). You can watch the episode online for the next 30 days. Daniel Mays appeared on Sunday Brunch this morning on Channel 4. This was Danny’s second visit to the kitchen with Tim Lovejoy and Simon Rimmer. Danny discussed The Red Lion and the upcoming Dad’s Army (expected February 2016 release) film. Always a great interview and we loved seeing Danny back in the Sunday Brunch kitchen. If you missed the show, it will be available on demand soon. Thanks to everyone at Sunday Brunch and Channel 4 for the great morning! 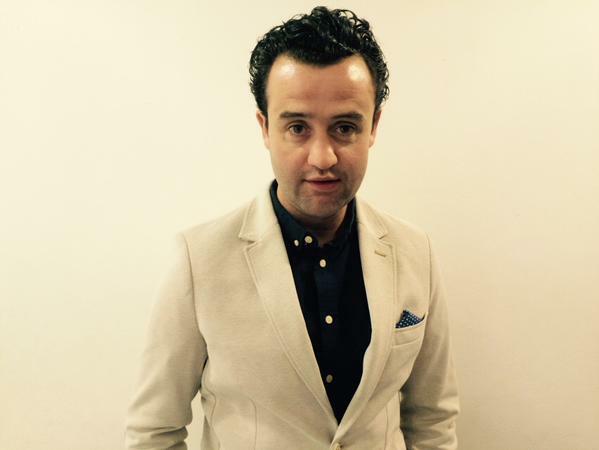 Daniel Mays will be making a return appearance on Sunday Brunch tomorrow 12 July. Tune in to Channel 4 from 9:30 am.